The following post was written by Kate Hargreaves, author of Jammer Star. Ever done something you didn’t believe you could? It’s a great feeling! 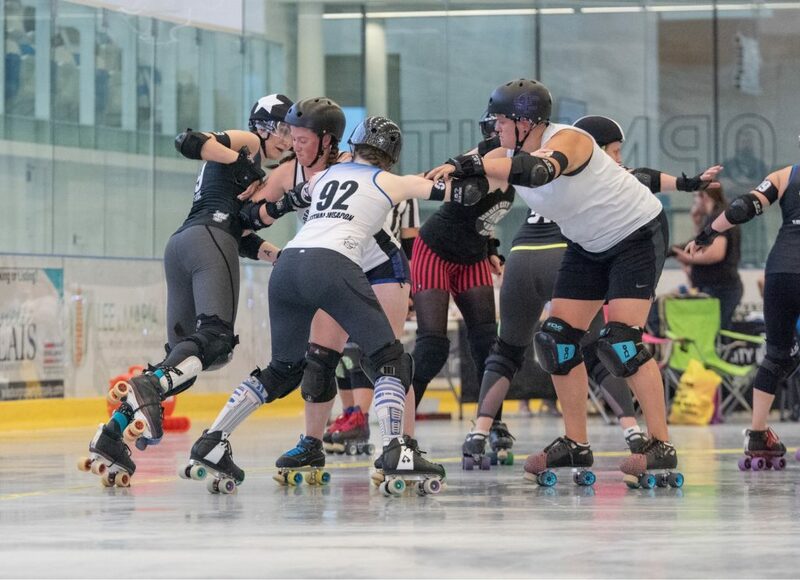 Joining a new activity can be scary, especially if that activity involves rolling around on skates and hitting people with aggressive-sounding names! Even though it may seem beyond your abilities, challenge yourself and give it a try. The feeling of pride that comes with learning something new that seemed impossible in the past is one of the regular perks of roller derby. Whether it’s learning a skill, like crossovers or jumping, or improving your mental game, there is always a new challenge, and meeting those challenges is consistently rewarding. Plus, you don’t have to do it alone. Most (if not all) roller derby leagues have some sort of Roller Derby 101 program that welcomes brand new skaters, no matter what skill level, and helps you build your skating and game-play abilities from the ground up. That means that when you join, you’ll be surrounded by a whole group of other people who are in the same situation: excited to start learning, but also probably a little scared. Sure, you’ll fall down and get discouraged sometimes, but so will everyone else. When you’re pushing yourself outside your comfort zone and trying something new, it’s nice to have other people in the same situation alongside you. Meet people and make lots of friends! 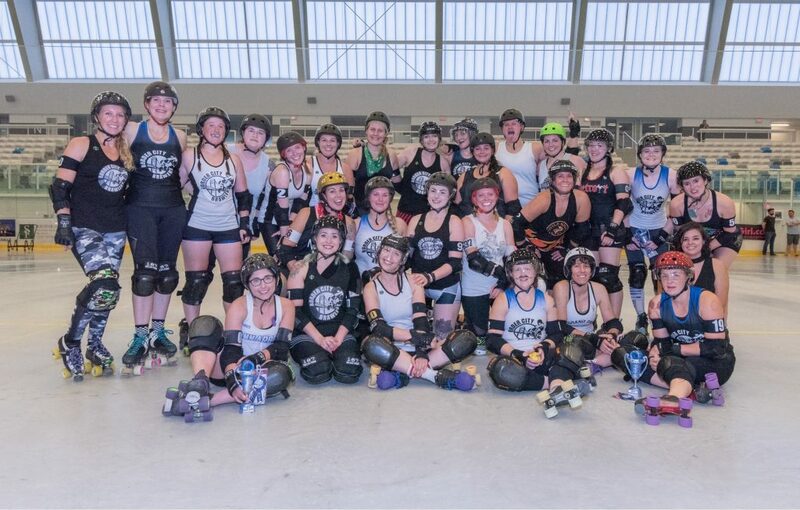 Roller derby skaters come from different backgrounds, ages, careers and life experiences. Getting involved in roller derby is a great way to make new friends, and those friendships can become close and long-lasting, even outside of the derby world. Skating, falling, learning and playing on a team together is a great way to bond. Roller derby has been the source of some of my closest friendships, and I may not have met these friends in any other aspect of my life. As fun as it is, roller derby is hard work! I’ve played a few sports in my lifetime, and roller derby is the absolute most difficult in terms of endurance, power, agility and mental conditioning. This means that roller derby training is a great way to get exercise a few times a week. Roller skating is a fun way to get a good workout and increase cardiovascular health. Having teammates to push you during practices and games is also a motivator to work hard and stay positive. Above all else, roller derby is a lot of fun. The main reason we play is for the fun of it, and that’s important to remember, especially in those difficult jams. 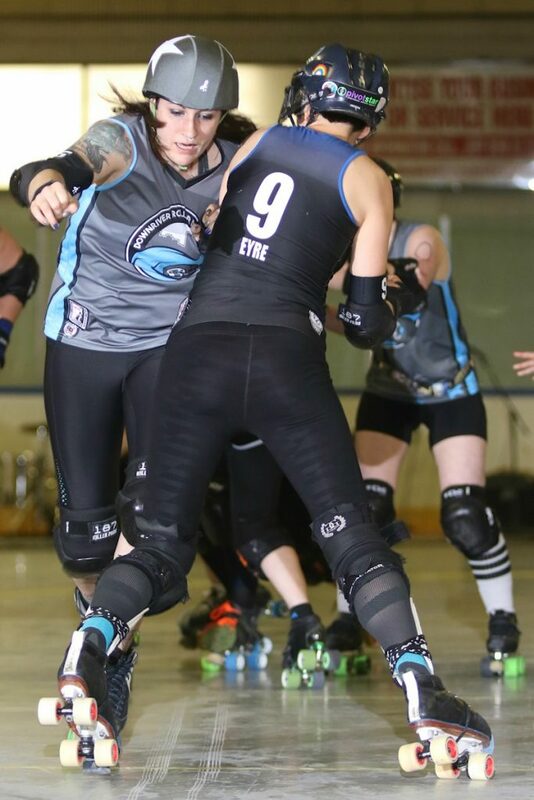 Whether it’s skating at practice, in a scrimmage or in a game in front of an audience, the feeling of succeeding at a new skill, scoring points, or just working with your team to hold a jammer for a few seconds is hard to describe. Win or lose, skaters can be proud of their small successes and learn something new every day, which is even more exciting than landing the biggest hit! 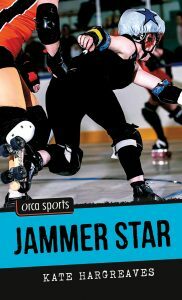 Jammer Star is available now! Kate Hargreaves (aka Pain Eyre) is a writer, book designer and roller-derby skater. She is the author of Talking Derby: Stories from a Life on Eight Wheels and Leak, a collection of poems. 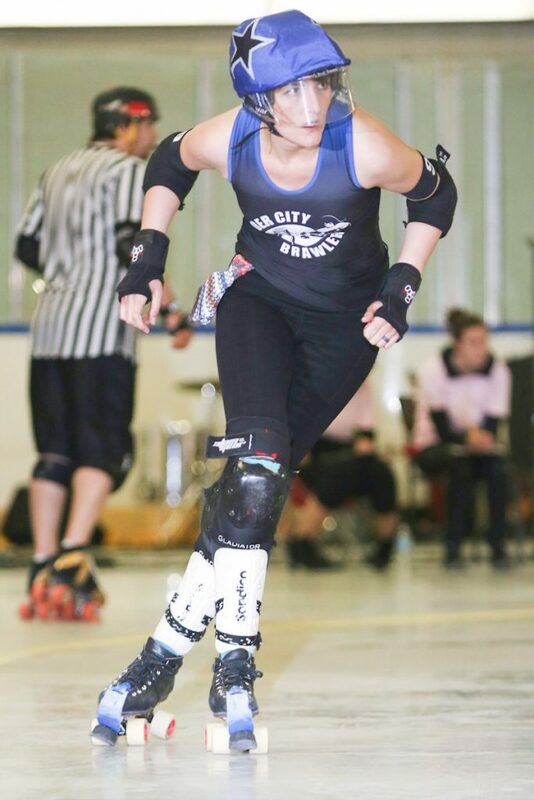 She lives in Windsor, Ontario, and helped found the city’s roller-derby league, the Border City Brawlers. When she’s not working or skating, Kate spends her time cycling with her husband and cuddling with Winn the cat.